As the demand for nursing care services is growing, the physical burden involved in caregiving has drawn widespread attention. To mitigate the physical burden in caregiving, we have to recognize what kind of work and problems are involved in each caregiving task. To identify the problems involved in caregiving, we need to recognize the work and analyze its workload. Aiming to reduce the burden on the waist during caregiving tasks, we are developing inertial sensor suits for measuring the working motions. With the developed method, the burden on the waist is estimated from the waist posture. Considering its use in practical caregiving sites, the number of inertial sensors should be the minimum necessary, which depends on the number of body parts where to measure the posture. In this study, we select the body parts to achieve the two above-mentioned goals: to recognize the work involved in caregiving and capture the waist posture. A support vector machine (SVM) is used to recognize the work. Its conventional method of selecting the features on which to recognize the work only considers the recognition accuracy and does not sufficiently meet the needs for measuring the postures. 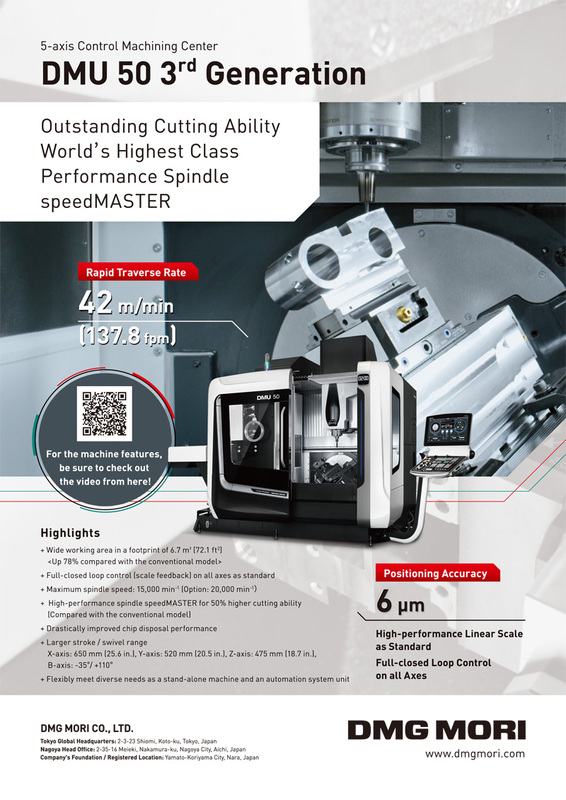 Therefore, we propose a new feature-selection method, which can evaluate the waist-posture measuring accuracy and can make forward feature selections in the same manner as the conventional wrapper method. We have verified the effectiveness of the proposed method by measuring simple simulated work motions. S. Miyajima, T. Tanaka, N. Miyata, M. Tada, M. Mochimaru, and H. Izumi, “Feature Selection for Work Recognition and Working Motion Measurement,” J. Robot. Mechatron., Vol.30, No.5, pp. 706-716, 2018. A. Minematsu, “Understanding and Preventation of low Back Pain in Care Workers,” J. of Japanese Physical Therapy Association, Vol.10, No.1, pp. 27-31, 2007. O. Karhu, P. Kansi, and I. Kuorinka, “Correcting working postures in industry: A practical method for analysis,” Applied Ergonomics, Vol.8, No.4, pp. 199-201, 1977. T. R. Waters, V. Putz-Anderson, A. Garg, and L. J. Fine, “Revised NIOSH equation for the design and evaluation of manual lifting tasks,” Ergonomics, Vol.36, No.7, pp. 749-776, 1993. 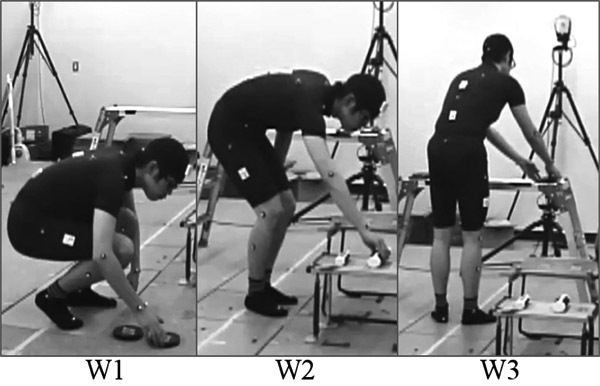 S. Miyajima, T. Tanaka, Y. Imamura, and T. Kusaka, “Lumbar Joint Torque Estimation Based on Simplified Motion Measurement Using Multiple Inertial Sensors,” Proc. of 37th Annual Int. Conf. of the IEEE EMBC, pp. 6716-6719, 2015. S. Miyajima, N. Miyata, M. Tada, T. Tanaka, and M. Mochimaru, “Optimal Arrangement of Inertial Sensors on a Motion Measurement Suit for On-site Working Posture Assessment,” Proc. of the 5th Int. Digital Human Modeling Symp., June 2017, Paper #17, 2017. M. Mochimaru, “Digital Human Models for Human-Centered Design,” J. Robot. Mechatron., Vol.29, No.5, pp. 783-789, 2017. S. L. Delp, F. C. Anderson, A. S. Arnold, P. Loan, A. Habib, C. T. John, E. Guendelman, and D. G. Thelen, “OpenSim: Open-source Software to Create and Analyze Dynamic Simulations of Movement,” IEEE Trans. on Biomedical Engineering, Vol.54, No.11, pp. 1940-1950, 2007. Y. Endo, M. Tada, and M. Mochimaru, “Dhaiba: Development of Virtual Ergonomic Assessment System with Human Models,” Proc. of the 3rd Int. Digital Human Modeling Symp., May 2014, Paper #58, 2014. Y. Tsuchiya, T. Kusaka, and T. Tanaka, “Calibration method for lumbosacral dimensions in wearable sensor system of lumbar alignment,” Proc. of 2015 37th Annual Int. Conf. of the IEEE EMBC, pp. 3909-3912, 2015. L. Bao and S. S. Intille, “Activity Recognition from User-Annotated Acceleration Data,” A. Ferscha and F. Mattern (Eds. ), Pervasive Computing, Pervasive 2004, Lecture Notes in Computer Science, Vol.3001, Springer, pp. 1-17, 2004. C. Cortes and V. Vapnik, “Support-Vector Networks,” Machine Learning, Vol.20, No.3, pp. 273-297, 1995. A. Blum and P. Langley, “Selection of Relevant Features in Machine Learning,” Artificial Intelligence, Vol.97, Issues 1-2, pp. 245-271, 1997. Ö. Uncu and I. B. Türkşen, “A novel feature selection approach: Combining feature wrappers and filters,” Information Science, Vol.177, Issue 2, pp. 449-466, 2007. R. Kohavi and G. H. John, “Wrappers for feature subset selection,” Artificial Intelligence, Vol.97, Issues 1-2, pp. 273-324, 1997. G. H. John, R. Kohavi, and K. Pfleger, “Irrelevant Features and the Subset Selection Problem,” Proc. of the 11th Int. Conf. on Machine Learning, pp. 121-129, 1994. Y. Omae and H. Takahashi, “Feature Selection Algorithm Considering Trial and Individual Differences for Machine Learning of Human Activity Recognition,” J. Robot. Mechatron., Vol.21, No.5, pp. 813-824, 2017. B. Fish, A. Khan, N. Hajj Chehade, C. Chien, and G. Pottie, “Feature selection based on mutual information for human activity recognition,” Proc. of 2012 IEEE Int. Conf. on Acoustics, Speech and Signal Processing, pp. 1729-1732, 2012. L. Fritzsche, “Ergonomics risk assessment with digital human models in car assembly: Simulation versus real life,” Human Factors and Ergonomics in Manufacturing & Service Industries, Vol.20, Issue 4, pp. 287-299, 2010. Y. Endo, N. Miyata, M. Tada, M. Kouchi, and M. Mochimaru, “Reconstruction of Skin Surface Models for Individual Subjects,” Advances in Applied Human Modeling and Simulation, CRC Press, pp. 392-400, 2012.